RE@L's STEM Career Corner™: Test-Pilot/Sim Expert Dan King On More STEM Careers For Students: Meteorology! You may remember our recent RE@L Guest-Blogger Dan King! Click here to read his recent RE@L blog on aviation. 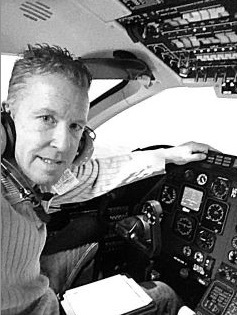 Dan told our readers some interesting facts about his aviation career. Taking STEM courses helped Dan learn to fly. Later, he taught many others how to fly: military jets, large and small. Dan helped create new, virtual reality simulator cockpits that were exactly like the actual cockpits . Those “sims,” as they are known, are now so effective that a pilot can fly the real plane after completing the required sim training. There’s one more thing about aviation that Dan loves, and that’s talking about the weather, especially flying weather. There’s that old saying, “Everybody talks about the weather, but nobody ever does anything about it.” But, we now live in an era where Global Warming is doing something about it. In many places it is much hotter and drier in the summer or snowy and colder in the winter. Storms are worse than ever before, too, and so are the many hurricanes and tornadoes we see. 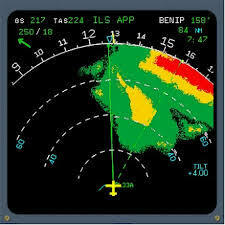 Weather prediction and bad weather avoidance is critically important in most aviation activities. “I love weather, even bad weather! I even love to fly in it. Here’s one of my stories worth telling. A fellow pilot and I were flying a load of breeder chicken chicks, recently hatched, from a poultry farm in Iowa to a port in Seattle. 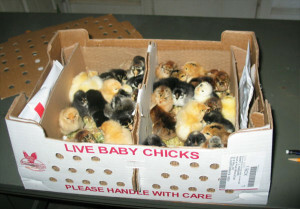 The day we picked up the dozens of boxes of chicks was rainy, windy and cold. As usual, we checked all our meteorology weather charts and decided it was still safe enough to fly. Weather is a very important decision that pilots have to make every time we fly. It’s an important concern for our passengers, too. Weather knowledege is critically important for the pilot. Lack of weather training or inattention to it has cost many lives. Our cockpit cabin was cold that day, but the 200 cases of little chicks were very warm and humid, given their newly-hatched heartbeats. 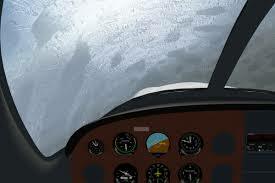 One important weather fact is hot inside and cold outside can cause severe frosting on the cockpit windows in the cabin. That’s no big problem for the chicks, as they don’t look out the windows anyway. Just kidding! But, for the pilots, clear visuals out the windows are critical for navigation, and especially when on approach to a landing. It’s imperative that the pilot see the runway prior to touch-down. So, with no ice-scaper onboard that day, my copilot and I were pulling out our credit cards from our wallets to scrape the heavy frost from our cockpit windows. “As soon as I knew I was going to pursue a flying career, I was just as determined to learn more about meteorology. Flying in an ever changing envirornment in the skies, I knew the ways weather could change both in the sky and on the ground. So, I enrolled in weather courses at UND and earned a minor in Meteorology for my degree. I was also very interested in weather modification. 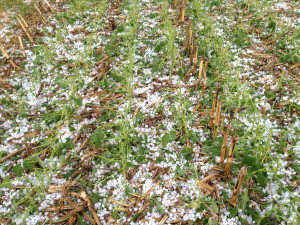 Think of the destructive impact hail has on crops from a farmer’s perspective. Hail becomes a catastrophic event when it gets hurled up over and over again by rising hot air multiple times. After many ascents and descents in the huge cloud, a small nub or kernel of frozen hail can grow to softball size. It can then fall to the gorund and devastate fields of corn, soybeans, sugar beats, your car, and even the roof of your house. <?br>What if you could reduce or eliminate hail? It would clearly help the farmers’ yields, which in turn puts food on our tables. Well, aviation allows us to do just that. 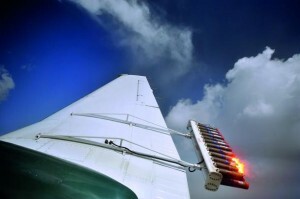 By injecting silver iodide into a potential hail producing storm cloud early in cloud development, (see the silver iodide released into the clouds from the rear of the airplane’s wing), the small hail, known as groppel, then falls harmlessly to the ground. That’s because the updrafts to support large hail are no longer present in early in the storm. Once again, STEM in action. 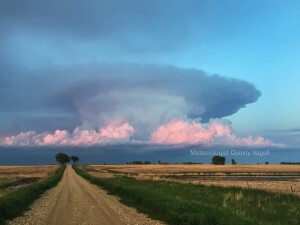 In the photo above right, the anvil-looking cloud is where the hail development actions happen. It’s known as a “convective cloud pattern.” You can see how the heat makes the cloud rise up. Click here to learn more. My meteorology courses and flight training certainly made flying it possible. My STEM courses in high school and college offered me many more opportunities. I’m glad I chose aviation as my STEM career. To all you teachers out there, check it out! Your students just might enjoy it too! Middle School and High School students, be sure to find out what STEM courses are available in school. That will allow your taking advanced STEM coursework later. Aviation can be an exciting career, both for women and for men. Thanks to Dan King for this fine STEM contribution to our RE@L Blogs. What an exciting career choice for both girls and boys thinking about where their futures will take them! Be ready! and Dan will respond to you.